What if You don’t have dreams. What if You are the dream. If you come from this focus, if you look at your life knowing YOU ARE THE DREAM, then there is so much more opportunity to fulfill your life and your dreams. If I say you are the dream, then to fulfill your dream you have to be yourself. That is a dream I love. 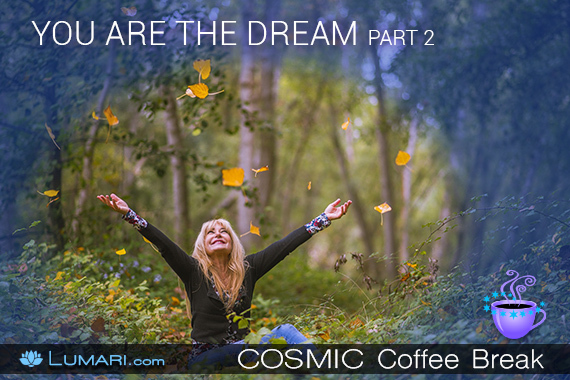 In this episode of the Cosmic Coffee Break, YOU ARE THE DREAM, PART 2, Lumari guides you in the wisdom teaching and meditation to be the dream that is in alignment with your soul, your heart, your energy and your purpose.